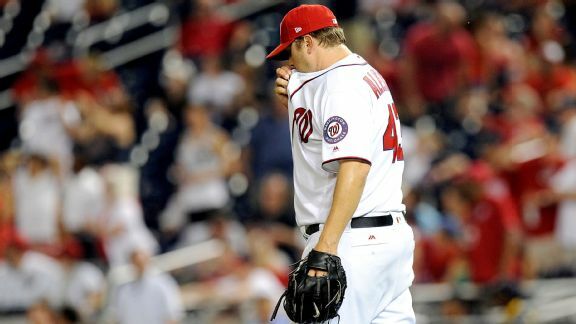 A month in, has Extreme Makeover: Nats Bullpen Edition been a hit? 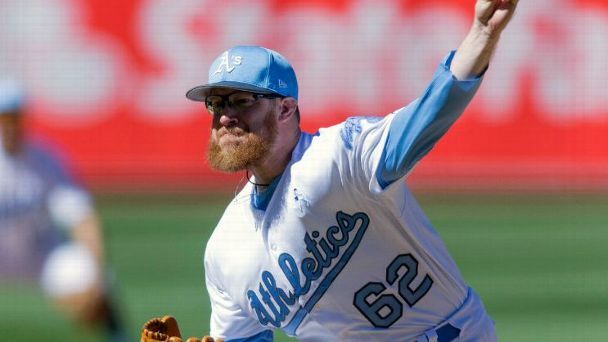 D.C.'s relievers are unlikely to be the most intimidatingly airtight group in the history of playoff baseball. But they could be enough come October. 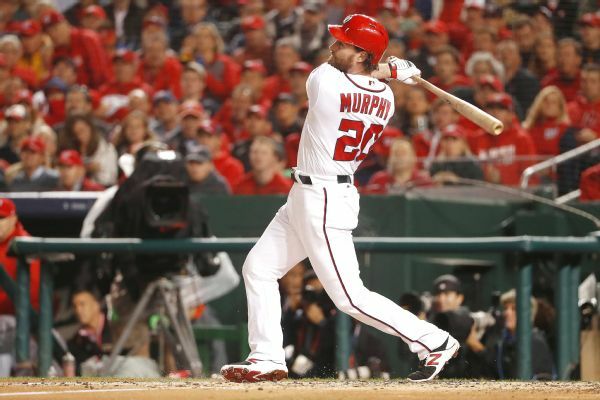 The good news: Washington -- even without its best player -- is a lock for the playoffs. The bad news: October is a whole different animal. 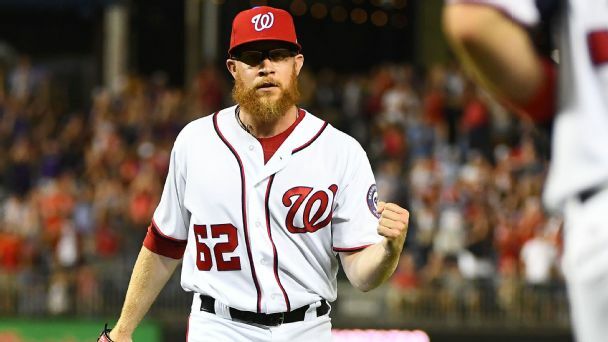 The Nats needed more than one arm to add to their bullpen, and may have found the perfect match without giving up any of their best prospects. 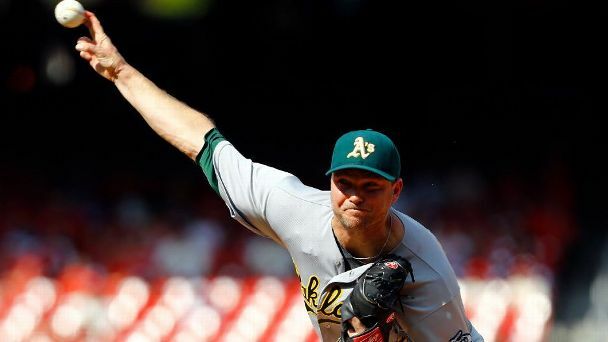 Getting Sean Doolittle and Ryan Madson without trading top prospects is a big boost for a beleaguered Nats bullpen, but ninth-inning questions remain. "We got an MRI," Koda Glover said prior to Wednesday night's game. 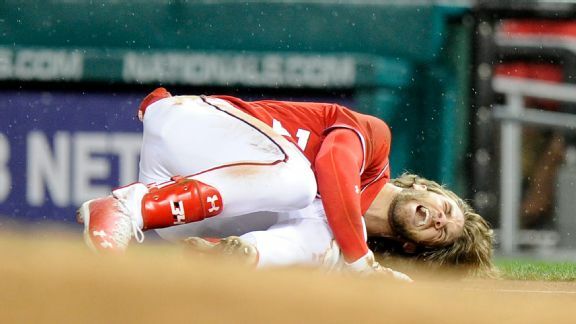 "It's severe inflammation of the rotator cuff and two strains, and a couple of this and that, and it's not really a huge deal. But the inflammation, we're still waiting for it to go away." A shrinking division lead. Late-inning meltdowns. 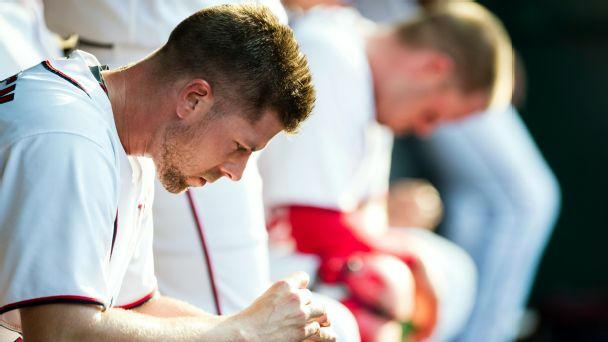 Uneasiness in the dugout. 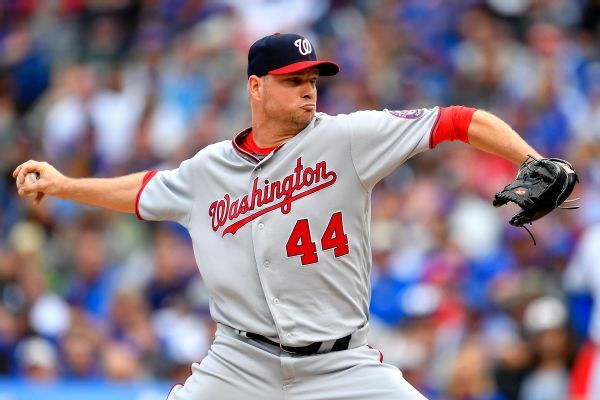 Can Washington survive its relentless bullpen issues? 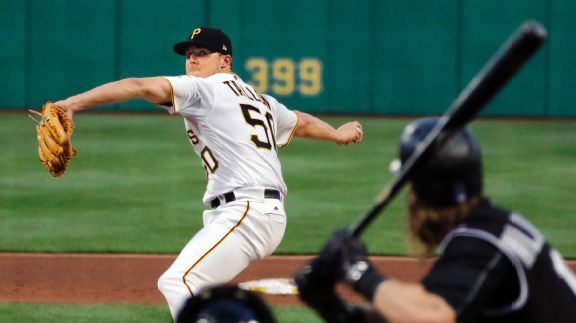 The Pirates pitcher made his first start since being diagnosed with testicular cancer, while Washington's bullpen imploded yet again.